Notably, the poll shows a staggering divide between Republicans who watch Fox and the rest of the public on the question of whether Trump is the victim of a conspiracy at the hands of what Fox personalities call the "deep state." Among GOP Fox viewers, 79 percent say that “people within the FBI and U.S. intelligence agencies are trying to sabotage President Trump.” That’s compared to 49 percent of Republicans who don’t watch Fox, 24 percent of non-Republicans who watch Fox, and 8 percent of non-Republicans who don’t watch Fox. 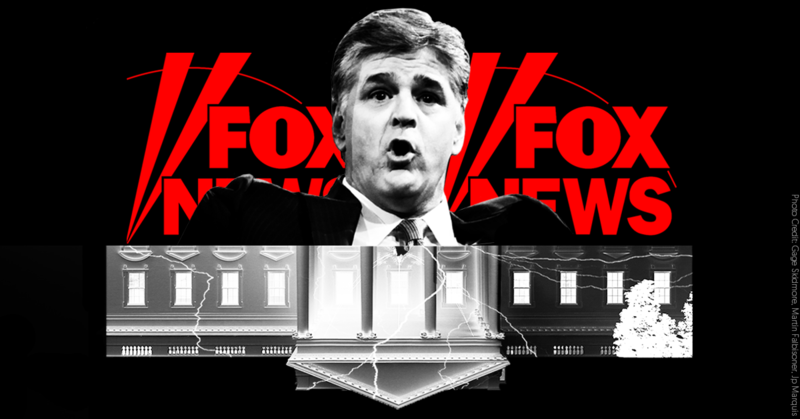 Hannity’s program began revolving around a single, terrifying idea: The Mueller probe is a sprawling conspiracy that justifies Trump using any means to stop it -- including the prosecutions of the “deep state” officials who started it. Nearly 200 Hannity segments over the first year of Mueller’s investigation alone included claims that top federal law enforcement officials involved in the creation of the probe had broken the law.